Maps have always been a worthwhile addition to the decoration of any room or wall. Typically, however, fans of decorative maps were forced to buy scenes of whatever mapmakers decided to create. Whether that was a map of the entire world, or a specific country or city, customers had little say in what was actually depicted. With ManyMaps, that all changes. 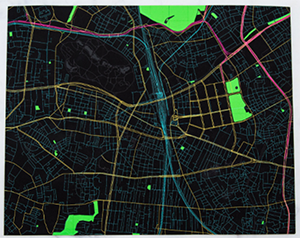 Now, customers can fully customize the type of map that they want to purchase. If you want a map of a specific neighborhood, that can be done. If you want a map of a specific street, that can be done, too. You can even add your own landmarks to point out things on the map before it’s printed, and you can customize the color as well. 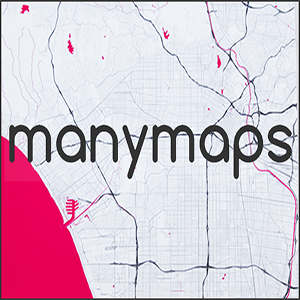 In the world of hyper-specific GPS and Google Maps, ManyMaps is the logical evolution of printed maps. In order to begin your creation, you simply type in the address or name of a location which you want to be displayed on the print. From there, you can tweak the design by displaying roads, rivers, lakes, parks, and a variety of other options. You can add markers and change the colors, as mentioned previously. When you’re done, you can purchase either posters or canvas, and the prices start at the relatively affordable cost of $19. The maps ship anywhere in the world, and are typically delivered within a week. 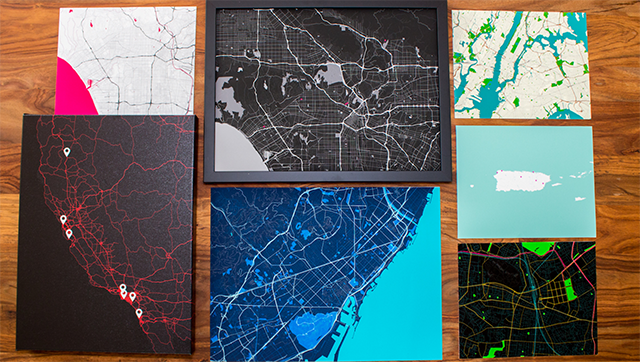 For those looking for a unique gift or something new to add to their walls, ManyMaps is a great option.